Your approach should be based on simplicity, efficiency, and connectivity that tie together the splintered aspects of IT security and enable the sharing of insights across your organization. Control access, ensure compliance and reduce complexity with a unified approach to identity and access management. Add an important layer of guidance from experts, who help businesses focus their security efforts. And it makes security simpler, so that business users can manage the rules and policies, and end users can easily comply. Together these enhancements can help build an internal culture of compliance within organizations and strengthen their overall security posture, allowing easier adoption of disruptive technologies — like cloud, mobile, and big data. In an increasingly complex data recovery environment, you shouldn't have to compromise your data protection strategy based on your vendor's product features. With data protection software and appliances, you can match your backup to your business and build the most efficient and effective solution for your unique business. 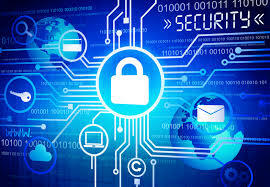 You can build fully-optimized data protection environments for any size of business quickly and easily, without changing your overall data protection strategy regarding application protection, backup and recovery, disaster recovery and replication, virtual protection, email protection, and more. Let's make your IT security and data protection future-ready.